Apple’s iPad has swept the nation, and is constantly accelerating its proliferation into educational facilities and business everywhere. 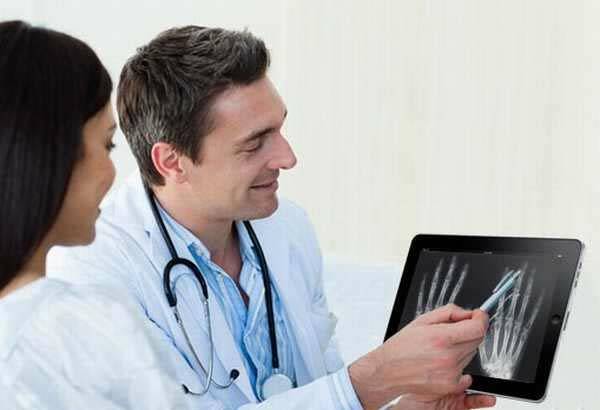 iPads that can be loaded with customized apps and programmed to work within hospital wireless network systems are a great way for hospitals to streamline many processes to keep labor costs down, improve staff efficiency, and to cut down on the hassle of extensive paperwork. So it’s no surprise iPads have made their way into hospital wireless networks as well. 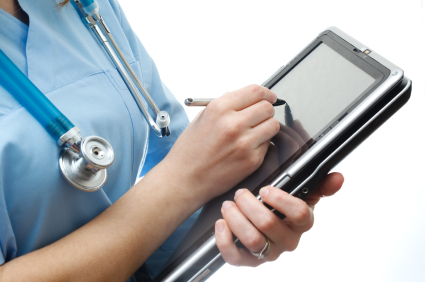 Here are the top 10 pros of iPads in hospital wireless networks. iPads not only make doctors feel more efficient, but according to a study published in the Archives of Internal Medicine, this mobile device has been shown to actually improve their work flow. 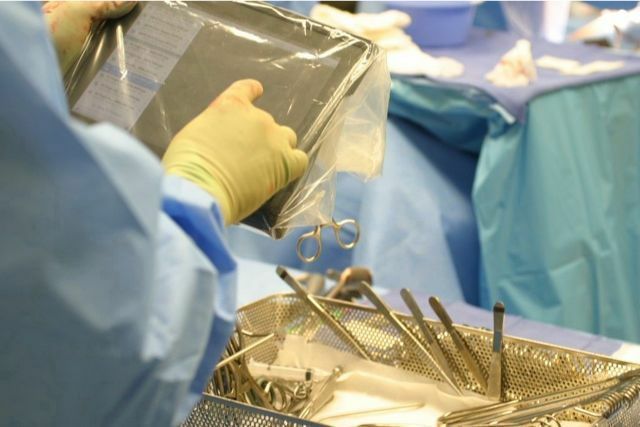 By mounting iPads in cases, hospitals can make the check-in process a lot easier. With the flick of a finger patients can update their information, check-in, even schedule their next appointment. Hospitals are sometimes big, and very confusing places for stressed patients, visitors, and new staff. 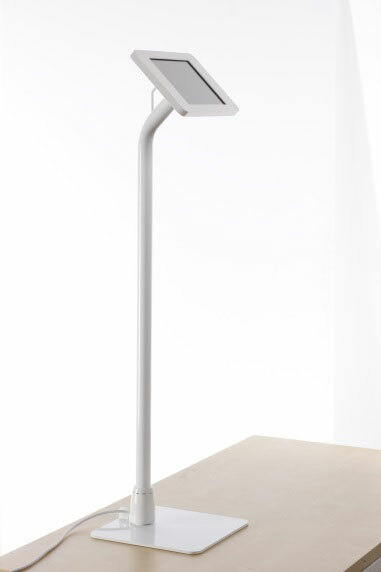 To improve way-finding for visitors, patients, and hospital staff, hospitals can use strategically mounted iPads to easily help them find their way through the hospital. Doctors and nurses can access up-to-date information with an iPad before and during each visit with the patient to prevent careless mistakes and save time. What better and simpler way to explain things to patients but with a video or interactive diagram on an iPad? Taking notes on iPads help keep doctors and nurses organized and makes sharing information a lot easier. Hospitals are stressful for everyone, especially for children. iPads can ease their stress and fears by allowing them to play games on the iPad during treatment or visits. 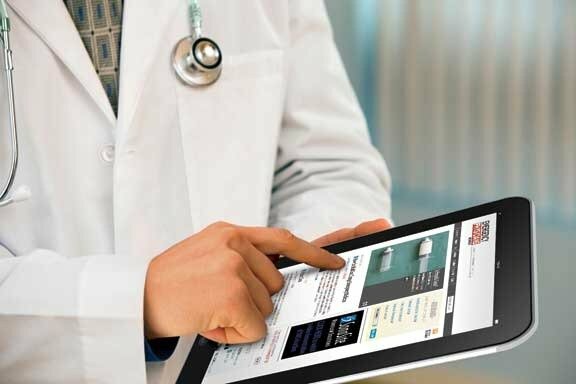 Doctors can use the iPad to stay up-to-date with new procedures, information, and education while on the go. Doctors can use apps to download tools and reference materials to assist them on a day-to-day basis. With iPads on hospital wireless networks, doctors can be more efficient, freeing up more time for them to spend with patients, improving communication and the overall experience. More innovative methods for using iPads in the hospital wireless networks are always in the works, so the benefits will only continue to stack up. The iPad is cheap, fast, efficient, and it’s here to stay. More doctors and hospital staff are using them every day. 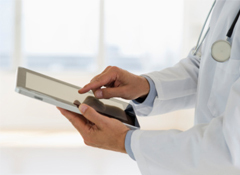 If your hospital is ready to begin an iPad implementation program on your hospital wireless network, the first step is getting your network ready. 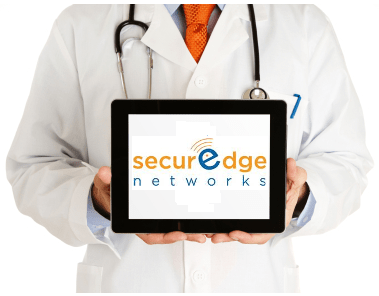 From planning to deployment, we are experts in hospital wireless network design and are more than happy to help you get started or answer any of your questions. You can contact us here or download one of our free guides for some more great information.